The last part of grain cleaning is to brush the grain. 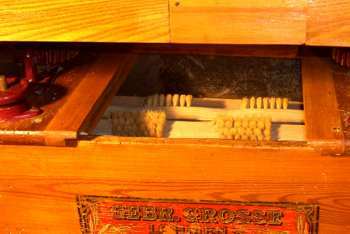 Inside of the brushing machine there is a circular revolving brush, which removes dust etc. from the grain. Now the grain is clean enough and can be ground. To the left you can see the brush in the brushing machine. A small Film will show you the rotary brush.